Weeden Mountain Grill is open daily from 10:30 a.m. to 1:30 p.m.
You can sign up to receive text or email updates via Rained Out. The Links at Redstone golf course offers a modern club house, pro shop and a short-order restaurant for your convenience. The Weeden Mountain Grill can cater your special events and tournaments at the Links. The snack bar also serves a variety of items seven days a week. The Links at Redstone also provides an excellent driving range with sand play and has several Demo Days and tournaments throughout the year. 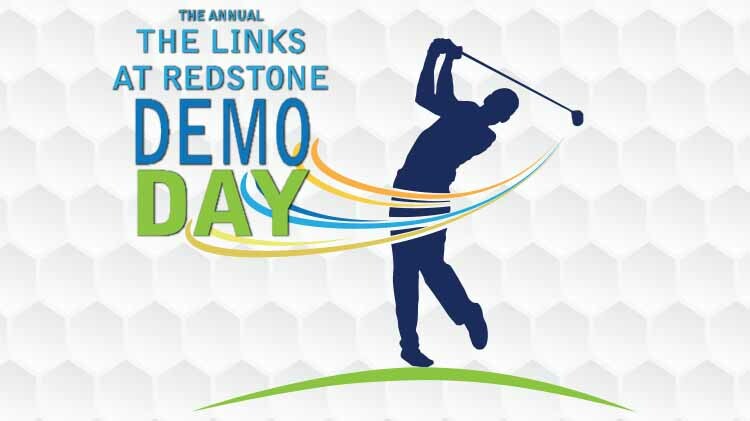 For more information about demo days and tournaments, visit the tab below or call The Links at Redstone. Driving Range - At the Links, we have a full practice area. We offer a full driving range with discount range packages ($100 worth of Range Balls for only $70). Practice Putting and Chipping Greens - Need to work on your putting or chipping? We offer two putting greens; one with the Warrior's Mini-Verde grass and one with the Patriot's Tif-Dwarf Grass. Chipping is allowed on both greens. We also offer a pitching green and a practice bunker. Rental Clubs - Don't have a set of clubs? The Links at Redstone has rental clubs available for $10 per set. If you need clubs to hit on the Driving Range, we will loan you whatever you need at no charge. We have a full fitting area inside the pro shop that can fit you for your new set of clubs. We offer Callaway, Ping, Cobra, and Taylor Made. Private Lessons - New to the game? Want to learn how to golf? We offer private lessons from our PGA members on staff. All lessons are 45 minutes with the use of videos and/or launch monitors. The cost per lesson is $60 or a series of five lessons for $240 (pay for 4 get the 5th free). Foot Golf - The Links at Redstone is North Alabama's only 18 hole Foot Golf Course. Foot Golf is a combination of the popular sports of soccer and golf, being more closely related to golf. everything going on at the course. If you have questions about tee times, please contact The Links at +1 (256)842-7977. **5 day passes are for Monday-Friday not including weekends and holidays. **Must have a valid driver's license in order to drive a golf cart. Christmas Party - December 6 @ 6:00 P.M. The Links at Redstone Advisory Council meets on a monthly basis. Council members represent a variety of patron groups on the installation to include active duty, retirees, family members, DOD civilians, federal employees, and contractors. Vision Statement - The Golf Advisory Council represents the interests of the Links at Redstone Golf Course patrons, including active duty service members, Department of Army civilians, federal employees, retirees, family members, and other eligible participants of the Redstone Arsenal golfing community. As the patrons' advocate, the Council makes recommendations to the Garrison Commander for the continued development and sustainment of the Morale, Recreation, and Welfare contributions of the Links at Redstone. Come by and visit The Links at Redstone and visit with representatives.